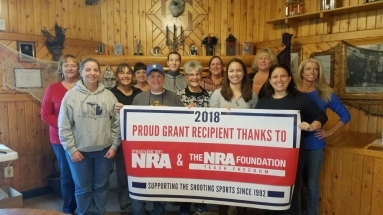 Our program provides the opportunity for women to experience proper training to confidently handle a shotgun, handgun or rifle. We offer a safe, fun and relaxed environment for the beginner to the experienced. 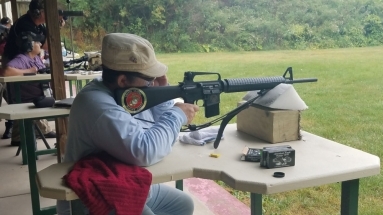 Take time for yourself to gain necessary training to handle a firearm with confidence. You do not need to be a club member to participate in the training. Open to members and non-members. Fees are paid the day of the event. All Handgun and Shotgun events start in the Clubhouse with complimentary coffee and breakfast snacks. The shotgun and handgun events usually last 2-3 hours. Ear and eye protection are provided. Bring a hat or visor for head and face protection, especially for handgun training. A high neck tee shirt is recommended for handgun training. Please do not wear flip-flops or open toe sandals at any time for safety reasons. Boots or good hiking shoes are recommended during the colder months. We shoot in all types of weather, so dress accordingly. The 25 yard handgun range is under over so we still shoot in light rain. Shooting vests and shoulder protection clothing are recommended for shotgun. Shooting gloves are suggested but are optional. Hip ammo pouches are available for use. 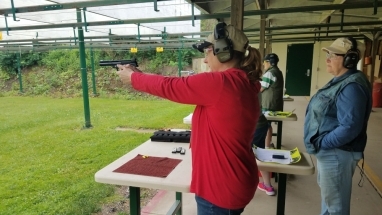 The Women’s Handgun Training kicks off our 7th season Saturday, April 13 at 9:00 a.m. Safety training and firearm instruction is mandatory for all handgun events and are held in the clubhouse prior to each event. The Handgun Training Class is limited to 12 women. You must register for the handgun class by phone, email or text message to Dianne Salata, at least 7 days prior to the scheduled event. If you register but cannot attend the event, please notify Dianne so that another woman may have the opportunity to participate. We provide .22 caliber handguns and ammo for all events as well as a variety of fun targets for games and competition. We are introducing 9mm handgun training this year. You are welcomed to bring your own handgun along with two (2) or more magazines. You must bring your own ammo if you shoot higher than .22caliber handguns. Our five (5) Women NRA Certified Pistol Instructors are available for one-on-one handgun training during the week and on weekends. One-on-one Handgun Training is required prior to attending our formal handgun training classes. 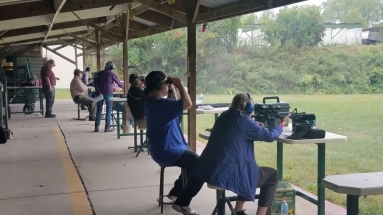 If you are a new or inexperienced shooter, attending the one-on-one training will make you more comfortable with gun handling skills and range commands prior to attending the classroom group sessions. Contact Dianne Salata for the names and phone numbers of the instructors. Handgun Fees each class: $20.00 members, $25.00 non-members use handguns provided. 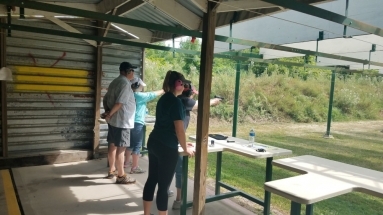 $15.00 members using own handgun and ammo, $20.00 non-members using own handgun and ammo. 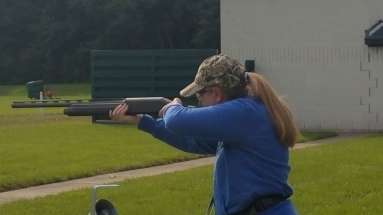 TRAP LEAGUE: The Women’s Shotgun Trap League begins Saturday, April 27th at 9:30 a.m. The first meeting will cover shotgun safety training, trap league rules, skill improvement and event fees. If you participate in the Trap League you must commit to shooting the required six (6) Trap League events for score, April thru October. 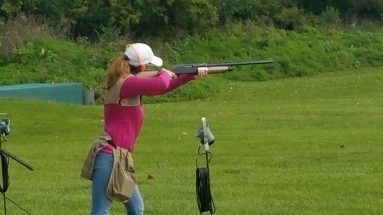 SHOTGUN TRAINING: We provide training for ladies new to the sport and for the experienced who want to improve their skills. Shotgun training is on a drop-in basis. 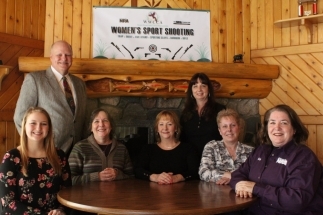 Training is scheduled at 10:30 a.m., after the Women’s Trap League shoot. 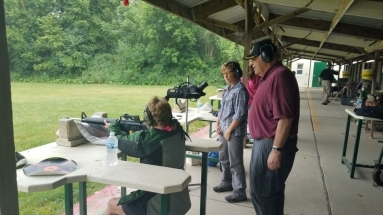 Safety training and gun handling skills are provided before each session in the clubhouse and on the range. New shooters are welcome to come early to watch the Trap League ladies shoot and socialize afterward. There are 12 and 20 gauge shotguns available for your first training session at no cost. Shotguns are available for a $10.00 rental fee after the first training session. 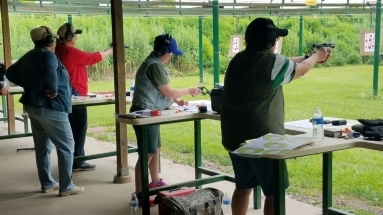 April 20 Shotgun Trap League 9:30 a.m. & Shotgun Training 10:30 a.m.
May 25 Shotgun Trap League 9:30 a.m. & Shotgun Training 10:30 a.m.
June 22 Shotgun Trap League 9:30 a.m. & Shotgun Training 10:30 a.m.
August 24 Shotgun Trap League 9:30 a.m. & Shotgun Training 10:30 a.m.
September 21 Galz N Gunz 8:30 a.m – 3:00 p.m.